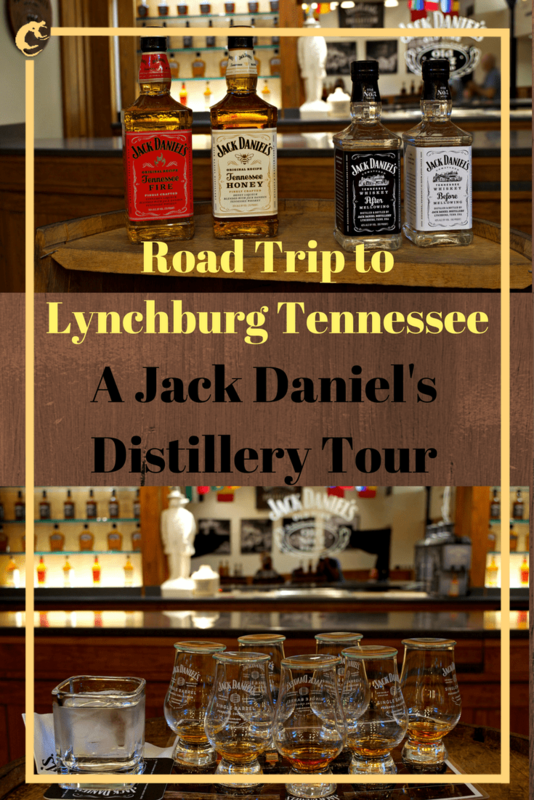 During our road trip to Lynchburg Tennessee we took the Jack Daniel’s Distillery Tour to answer a couple of questions. Why is Jack Daniel’s so popular and am I a low brow whiskey drinker for enjoying it? Perhaps worse than enjoying Jack Daniel’s Old No 7, I go for Gentleman Jack. What makes Gentleman Jack so gentle? Its smoothness combined with a balanced taste and finish makes it my choice over a fiery rye whiskey. Does that make me a mature whiskey drinker or am I about to loose my man card Are all these questions whiskey heresy? 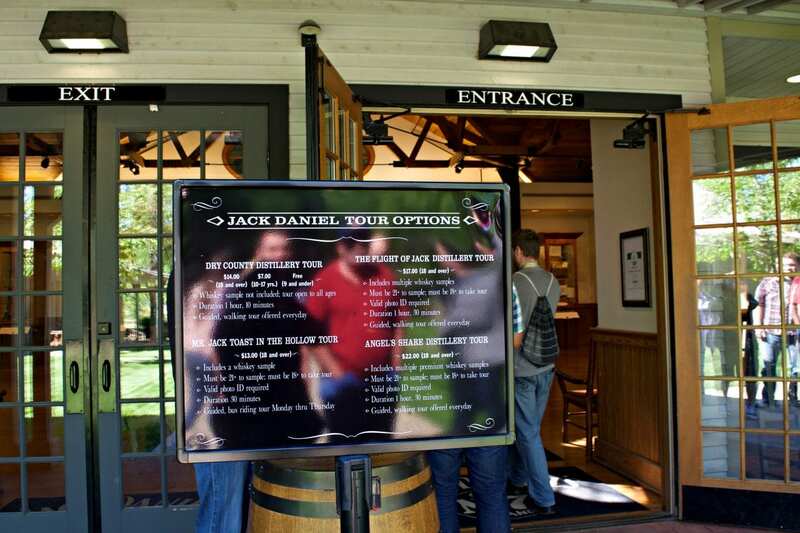 Every tour of Jack Daniel’s Distillery starts and ends at the visitor center. Of course, they want you to visit the White Rabbit Bottle Shop, the only place store in Lynchburg TN you can purchase Jack Daniel’s because Moore County is a dry county. You might think the prices would be lower straight from the whiskey factory but, alas, no such luck. The selection, however, was magnificent. There were bottles and labels available here that you would never see at home. The bottle enthusiast would love the collections in the display cases. 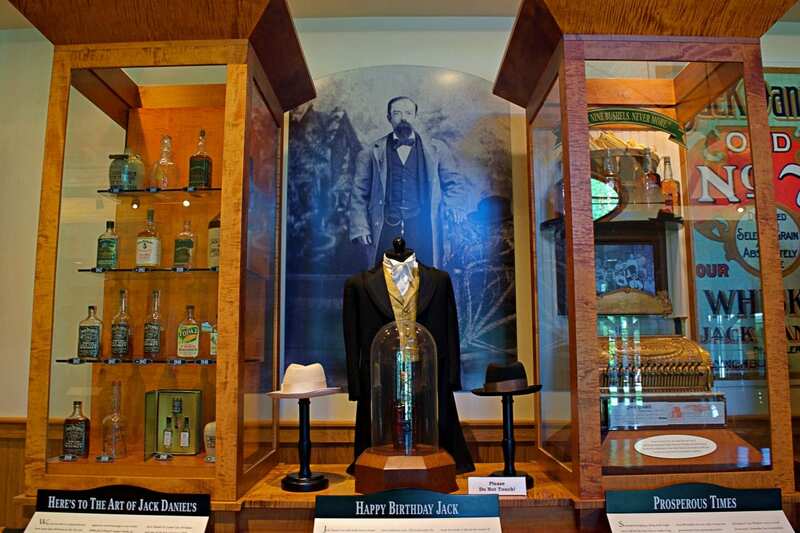 There was over a century of glass on display including historic bottles like the 1904 World’s Fair gold medal winner that really launched Jack’s career as a master distiller. We also learned the basic process for making whiskey. Grain mash is fermented and distilled. The grain alcohol is passed through active charcoal and then aged in barrels for about seven years. Then, viola, you have whiskey. Simply reading the steps didn’t answer any questions. I still didn’t understand why Jack Daniel’s was a craft whiskey and what made Gentleman Jack so smooth. Luckily, we took a tour of the factory to learn more. 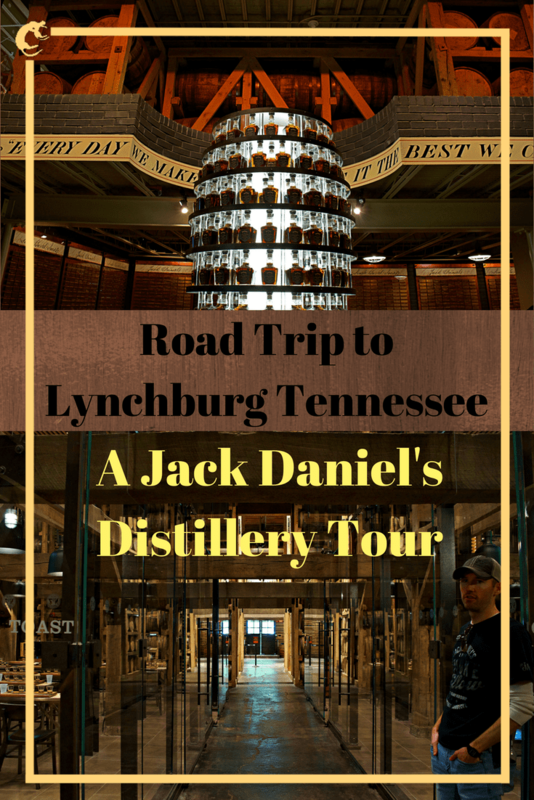 We met our guide, Ben and embarked on the Jack Daniel’s Distillery Tour. 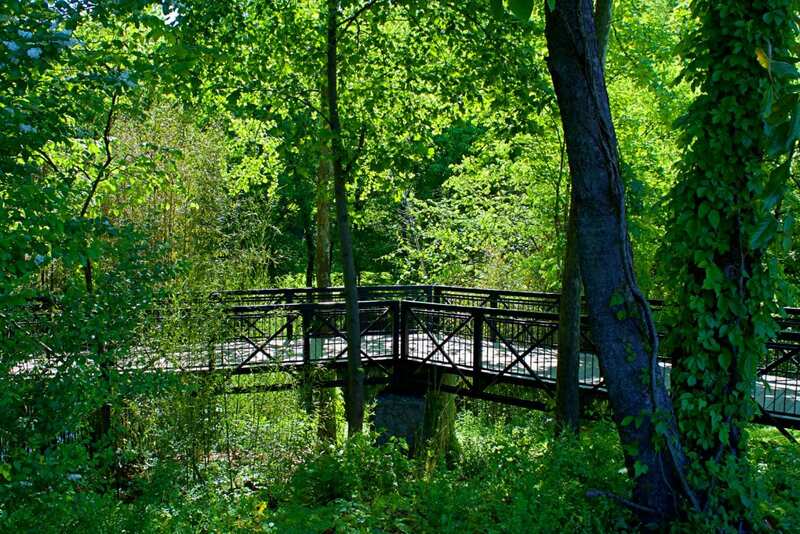 The campus looked more like a summer camp than an industrial zone, with lots of trees and a stream flowing through the property. The buildings all look like they are over a century old too. 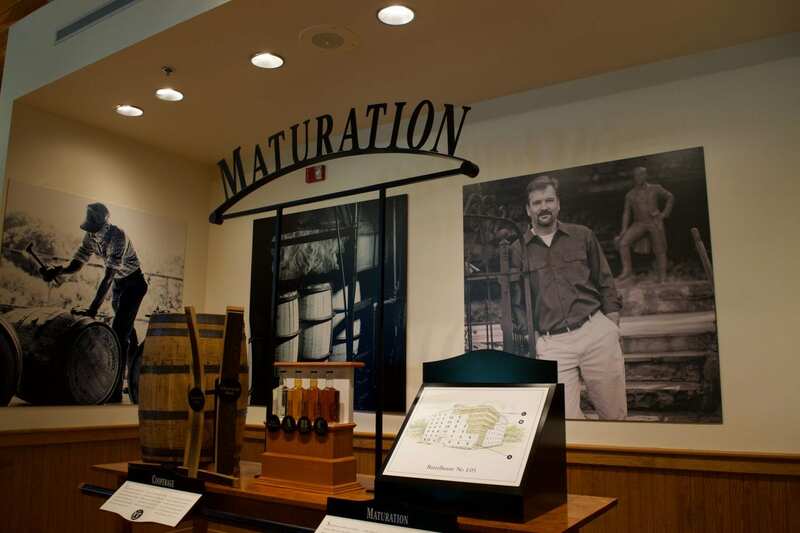 Still, I think Jack Daniels Factory tour is a bit more descriptive than Jack Daniel’s Distillery Tour since they make everything required for their whiskey on site including the barrels. We drove by quaint buildings of various descriptions and up a small hill. We unloaded our bus next to a structure that looked almost like a picnic shelter. Ben said this was the rickyard. I googled “rickyard” and the answer was it’s a part of the barn where hay is stacked. I googled “rickyard charcoal” and I got back descriptions of Jack Daniel’s. Maybe Ben was making things up but the marker on the map sure enough said Rickyard. 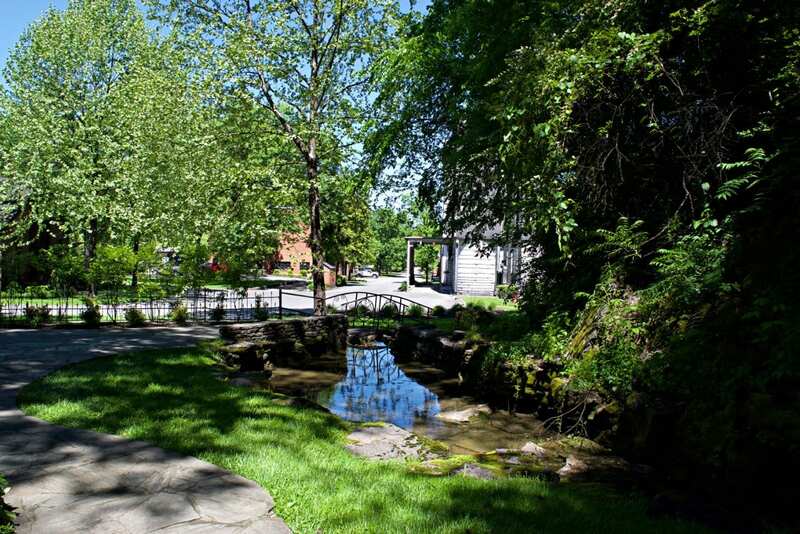 A rickyard is where Jack Daniel’s makes charcoal and charcoal mellows whiskey. Ben said this was a working factory and every tour he leads is different. Some days, there is a stack of honey maple being carefully burned to make uniformed sized charcoal nuggets. Today, there was nothing but a couple of display barrels of charcoal for us to see. Making charcoal isn’t that easy. If the fire is too hot, you’ll get nothing but ash. Too cold, and you’ll have chunks of unburned wood and not active charcoal. Jack Daniel’s looked to be doing a good job since every piece was uniformly sized. Ben said something else that was very important. He said we needed to use all of our senses to learn about how Jack Daniel’s whiskey is made. We took a second and smelled the air around us. It smelled of campfires and springtime, transporting me further into an imaginary summer camp. We walked down the hill to continue our factory tour our next stop was the cave springs hollows. 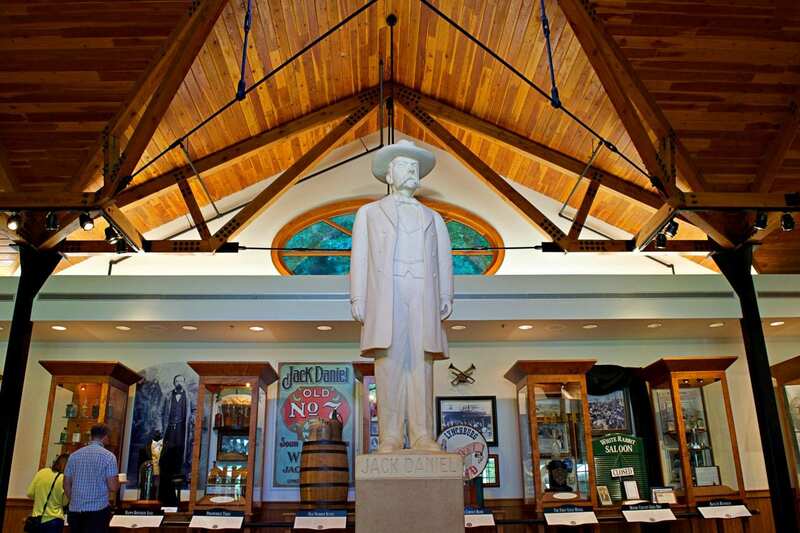 Jasper Newton “Jack” Daniels didn’t begin distilling whiskey in Lynchburg Tennessee. The early years of Jack’s life are still clouded in mystery. There isn’t even an agreed upon year for Jack’s birth, with support claims ranging from 1846 to 1850. However, what is known is that Jack had the good fortune to start distilling with a local preacher Dan Call and his slave Nearis Green. 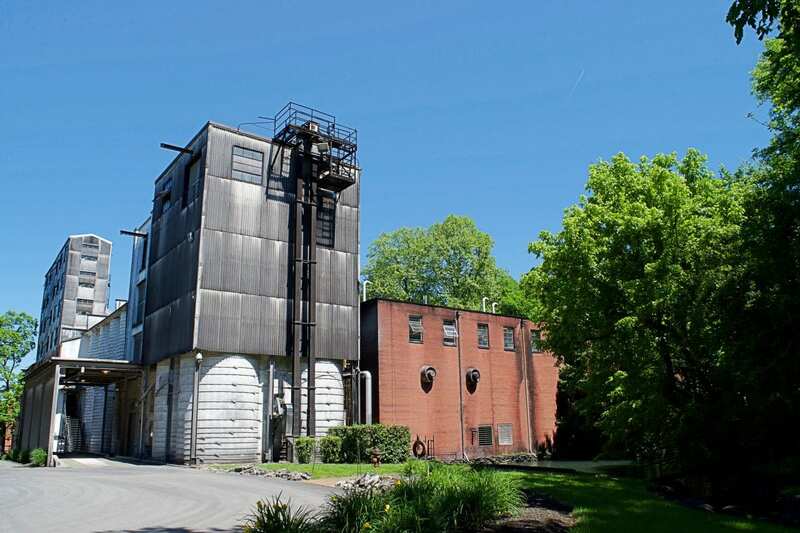 The New York Times even claims that Jack learned more about distilling from Nearis Green than from Dan Call, but the official tour said nothing of this. Somewhere between 1866 and 1875 (again, conflicting reports), Jack registered his distillery. 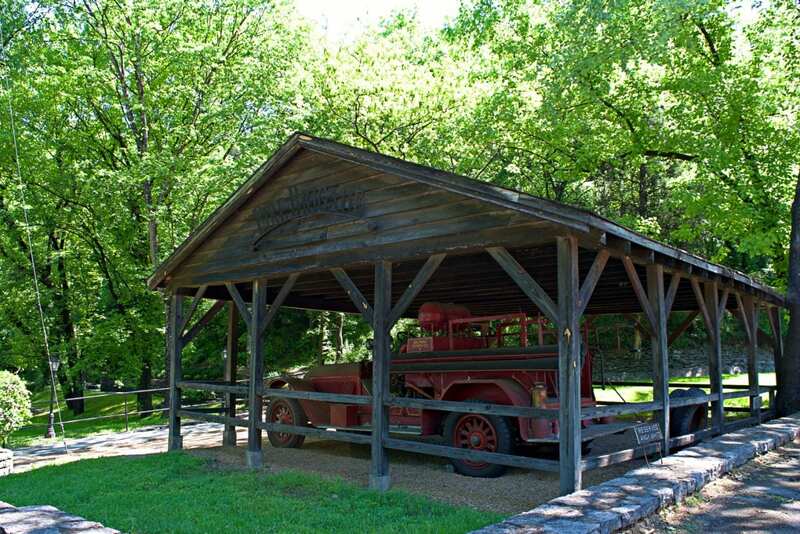 In 1884, he purchased the current property in Lynchburg Tennessee because of this cave spring. 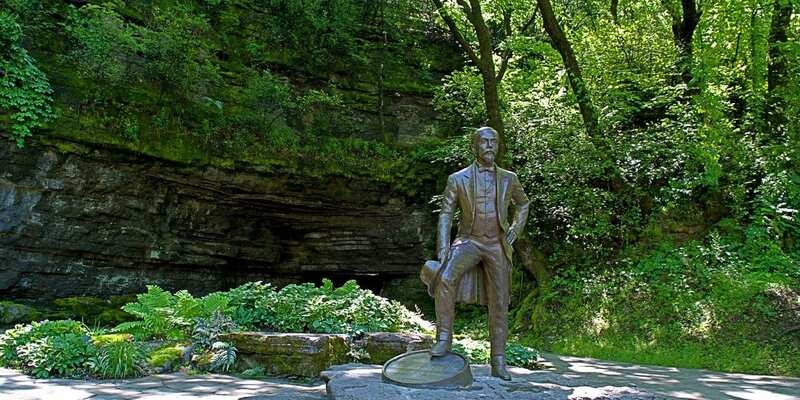 We watched the water pouring out of the cave and contemplated how every drop of Jack Daniel’s whiskey came from this water. The air was cool and fresh. Perhaps more important, the water was cool and pure. The absolute consistency of this key ingredient is essential for the quality control of Jack Daniels. Every drop of water is always the same temperature and always the same chemical composition – natural spring water free from chlorination and alterations. 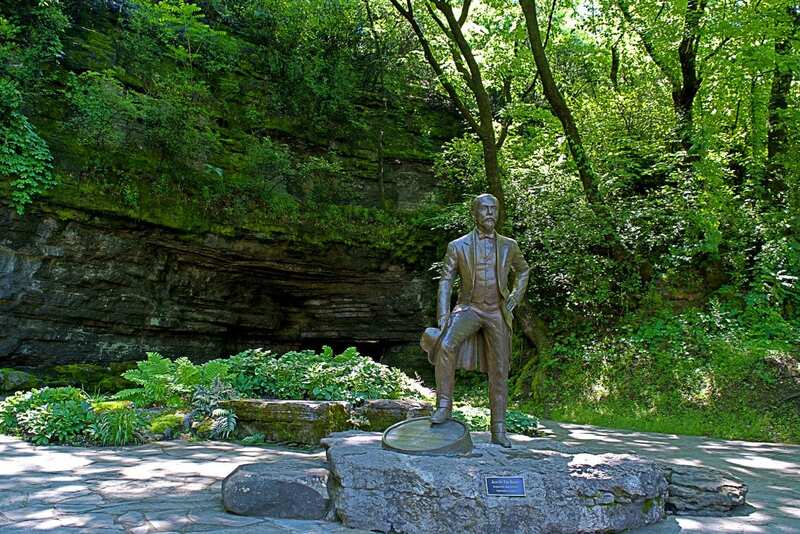 In the cool air of the cave springs, I was starting to understand Jack Daniels Black Label. I still didn’t know what made Gentleman Jack so gentle to my palette. Jack’s Office sat across the road from the cave springs. 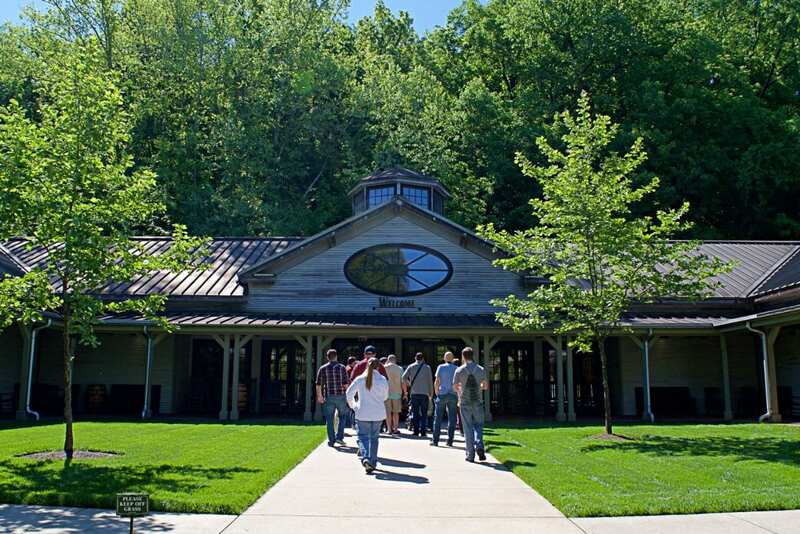 We entered this unassuming building to learn more about making Jack Daniels. This building was the original factory headquarters. The air smelled a bit like grandma’s house. 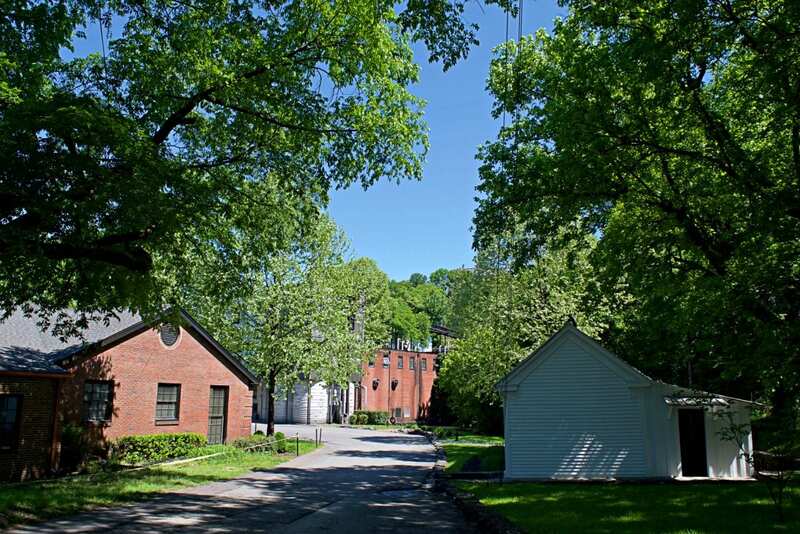 Even though there is no active production occurring here, it contains the values that Jack Daniels is built on. 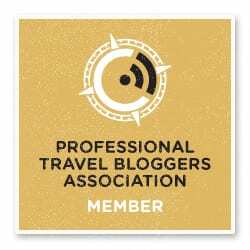 A plaque on the wall bears the founder’s saying – “Every day we make it. 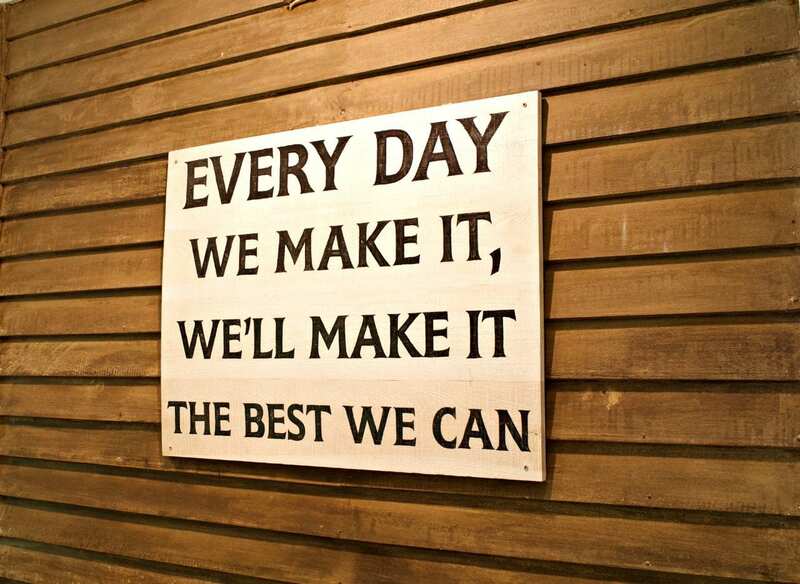 We’ll make it the best we can.” Very simple yet profound. Another simple but profound discovery in the office was the pictures of Jack Daniel’s presidents. There were only seven. Jack had no kids, but he still passed the business along in the family until it was sold to the Bown-Forman company in 1956. 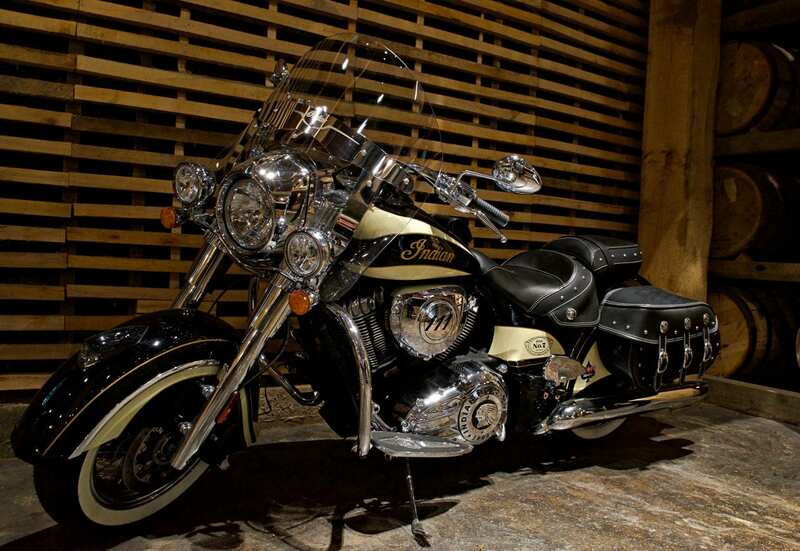 They maintained the commitment to quality that Jack Started almost a century earlier. 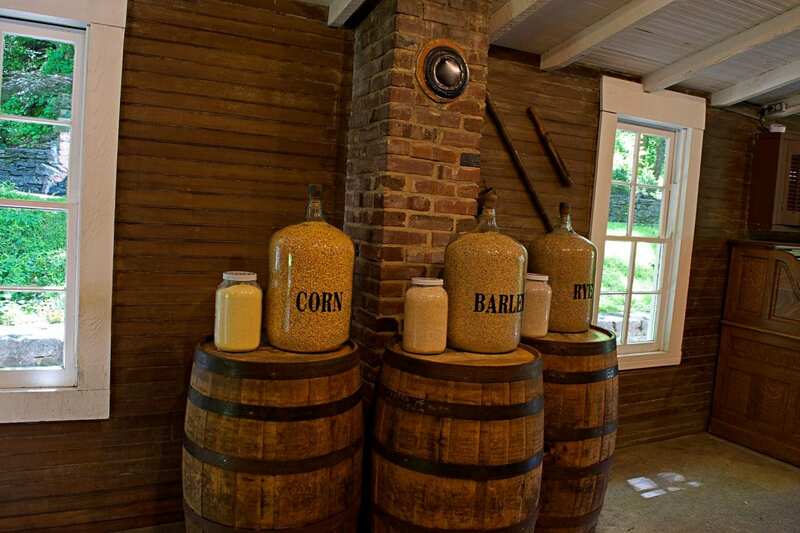 The ingredients for Jack Daniels are displayed here too – 80% corn, 12% barley, 8% rye. Corn is a new world grain, so the original Scotch Whiskeys are much heavier on barley and rye. I learned this blend is the same for most of Jack Daniels Whiskey (they have started a single barrel rye, which is their first new mash since prohibition). If the mash is the same, what makes Gentleman Jack different? Ben had a poignant story for the office. He showed us an antique safe and said that was the safe that killed Jack. The story goes that Jack came into work on a Saturday and, so frustrated with not remembering the combination, kicked the safe in disgust. Complications from this injury caused his toe, and then leg to become septic and, ultimately, killed Jack seven years later. Ben’s moral was, don’t work on Saturdays. My moral was don’t work in industries where you have to remember combinations. As the cave spring flowed down beside the road, it crossed into the still house. Here, summer camp vibe gets industrialized. The air was hot and heavy with a bready smell. We watched as pure, new 140 proof whiskey pour off the still at a gallon a second. From behind a plexiglass cubicle, a central casting image of a grandmother monitored a vast array of digital readouts and gauges. 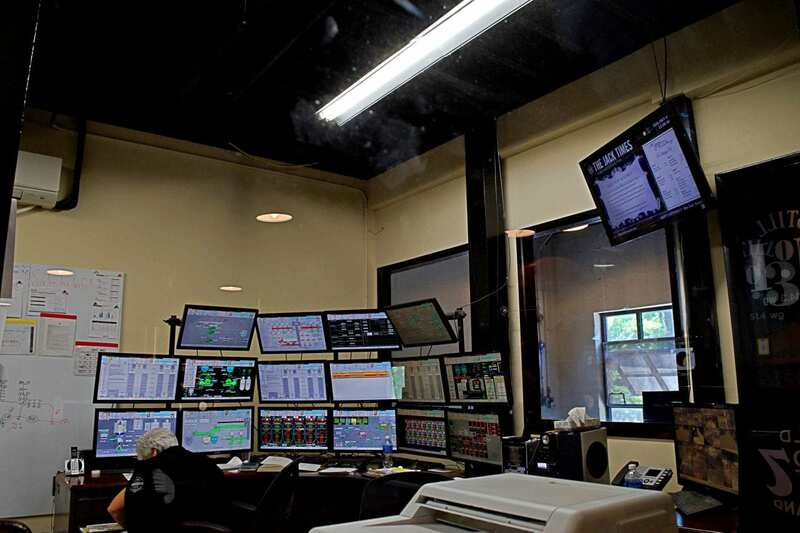 Digital control is a serious part of the process. Usually, there is no photography here, but we had special permission from Jack Daniels press outreach. Even a process as rudimentary as distillation had a quality control element. It’s not just that ethanol (raw whiskey) has a lower boiling point than water and can be extracted by heating. Using copper coils in the still help remove sulfur from the raw whiskey. 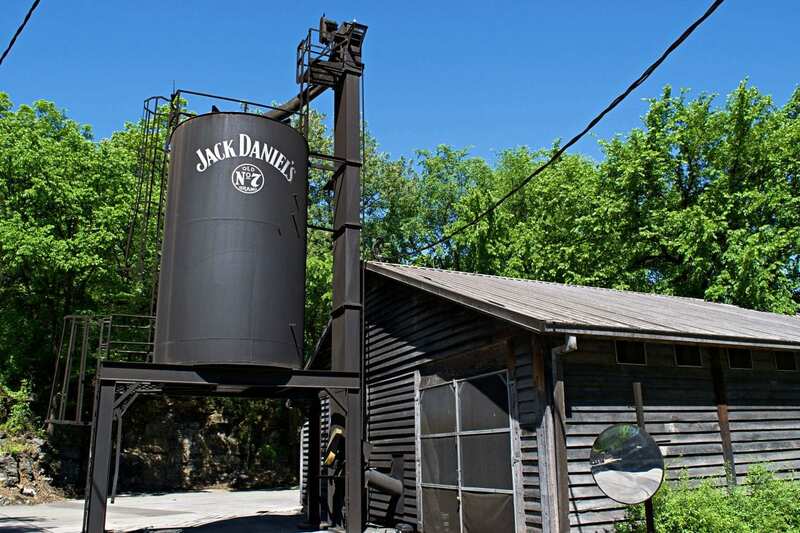 Copper isn’t the cheapest metal to distill with, but its catalytic properties help make Jack Daniels what it is. 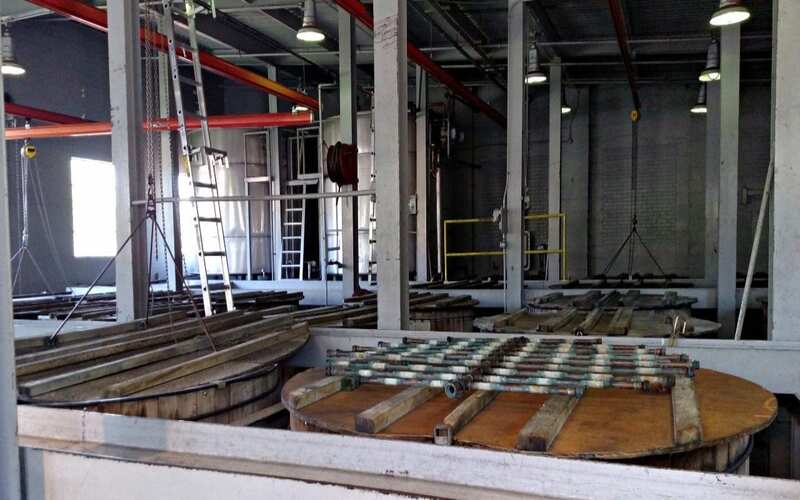 Every couple of years, the stills need to be refitted with new copper at a cost of several million dollars. We climbed above the stills to the fermentation vats. Here, the raw mash is combined with cave water and yeast. The yeast is controlled as carefully as the water. 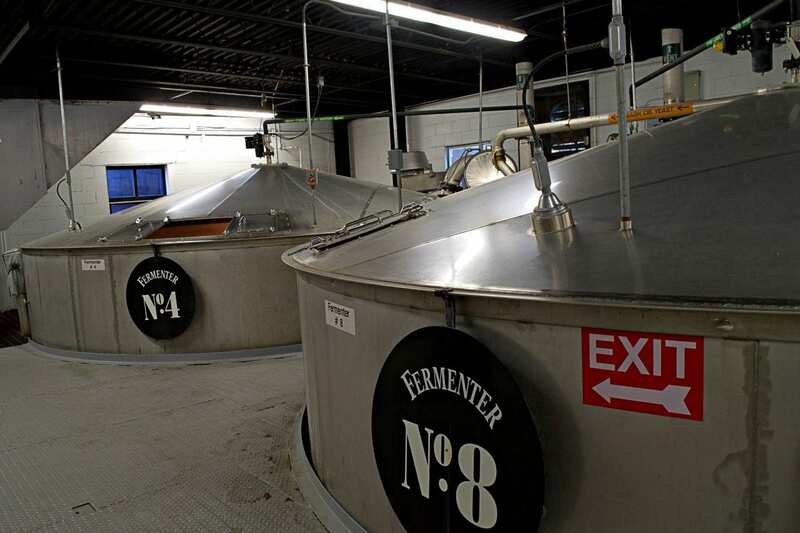 Through a process called sour mash, the yeast strains are grown in house and monitored by some Ph.D. microbiologists for purity. 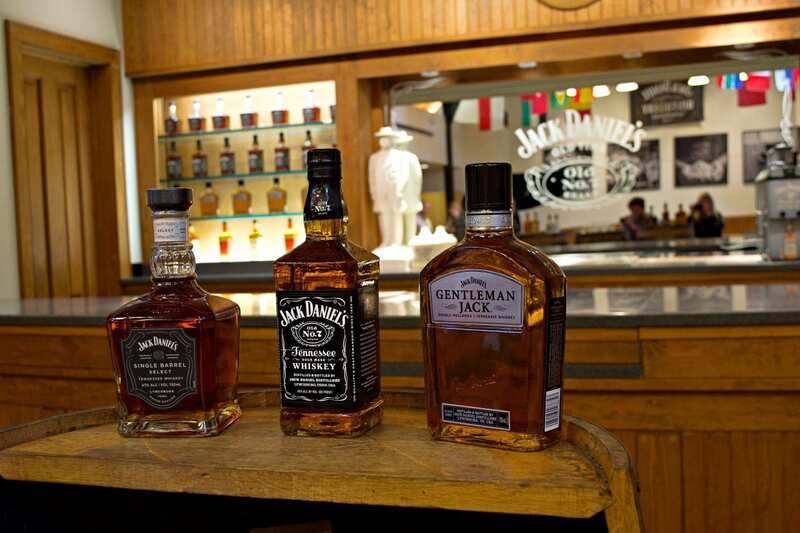 It’s not as easy as buying freeze dried yeast from a commercial factory, but the Jack Daniel’s quality is ensured through their in house process. We were encouraged to not only smell the fermenting mash but taste it was well. It was surprisingly sweet. We watched as the huge vats bubbled with the active yeast metabolism. Who could have guessed something so primitive could produce such a sophisticated whiskey. 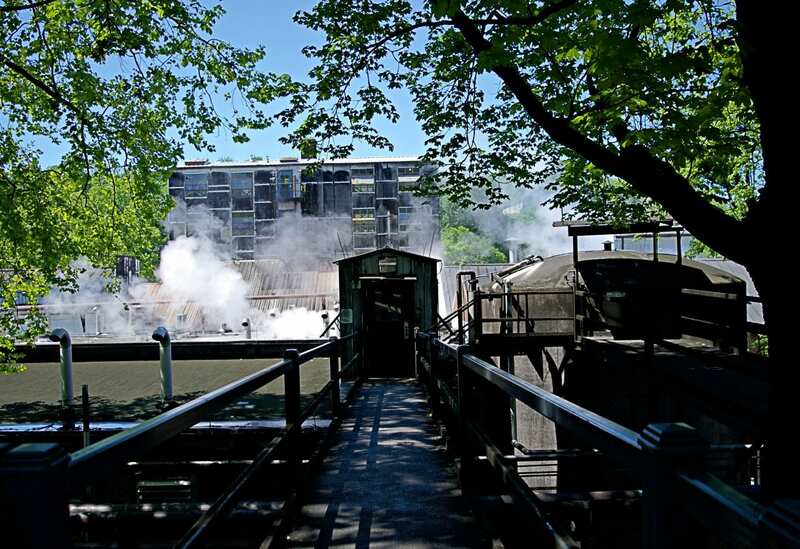 From the fermentation vats, we traveled over to the charcoal mellowing stacks. Here the charcoal we saw from the rickhouse was used to remove impurities from the raw whiskey we saw flowing from the stills below. 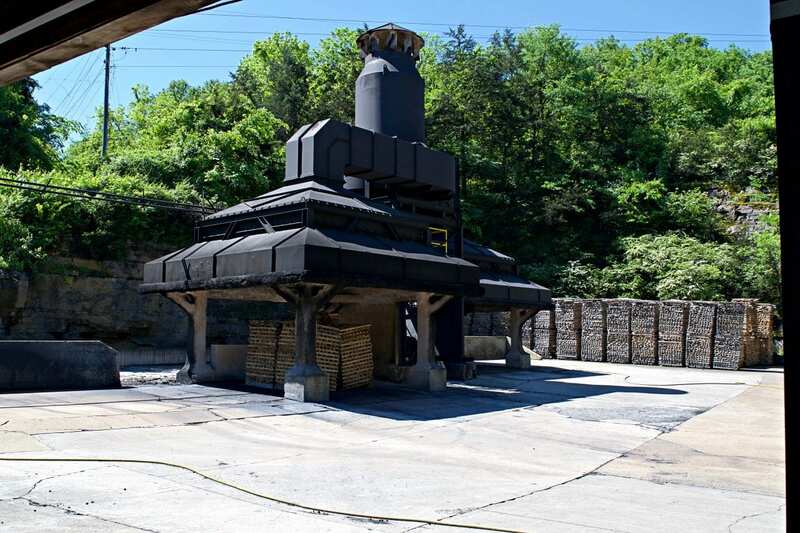 Charcoal mellowing is an important (and legally required) part of the Tennessee Whiskey making process. The raw whiskey we saw pouring out below is all placed, drop by drop over a series of charcoal cylinders. For days, these drops of whiskey travel over the perfectly formed nuggets of active charcoal, depositing impurities like corn oils. Historically, these impurities were removed by maturation in oaken barrels. 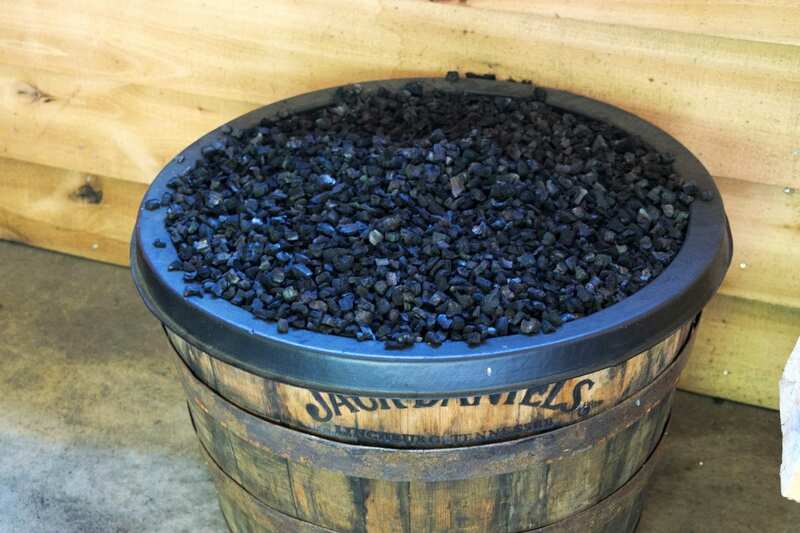 However, charcoal mellowing removes impurities without imparting all of the tannins from the barrel. 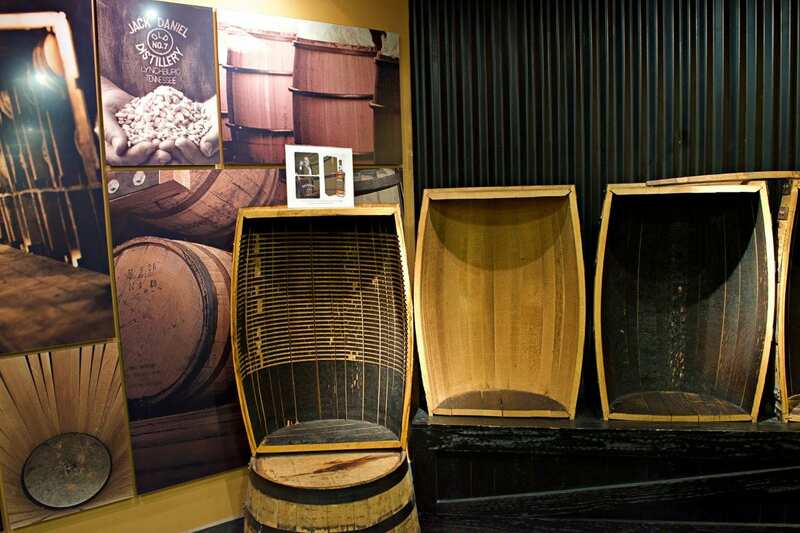 It’s also a process step that is different for making Gentleman Jack. After maturing in barrels, Gentleman Jack is put through an additional charcoal mellowing. Just 3’ of mellowing is enough to smooth the finish, yet maintain the whiskey’s flavor and color. Before we left the still house, we learned about another important step in whiskey making – coopering. 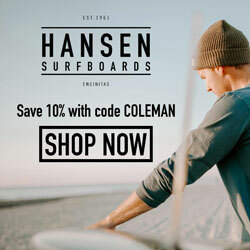 A cooper is an antiquated word for an antiquated trade. Coopers are people who make barrels. 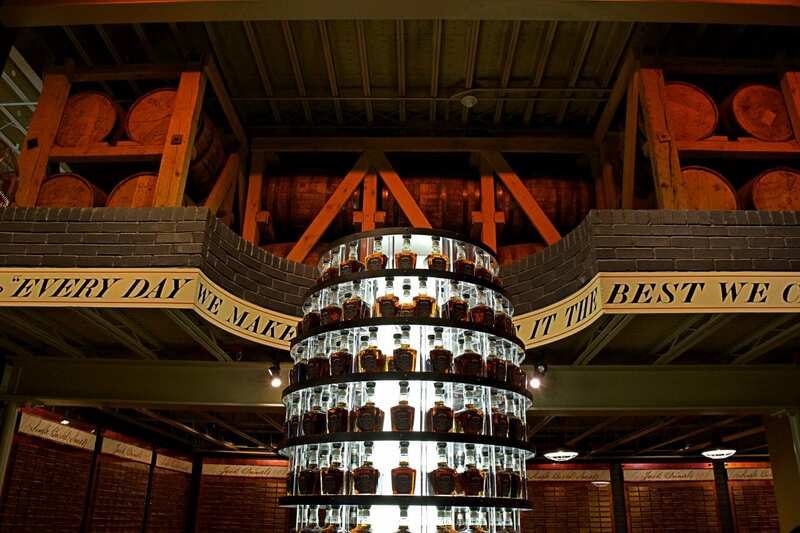 By now, you shouldn’t be surprised that Jack Daniels makes all of their own barrels to ensure quality. They also only use a barrel once. Also, not surprisingly, there are all kinds of souvenirs in Lynchburg made from old barrels, including the barrels themselves. The barrel house smelled distinctly of oak and whiskey. Each of the oaken barrels seeped a little bit of whiskey out during the process, the so called angel’s share. 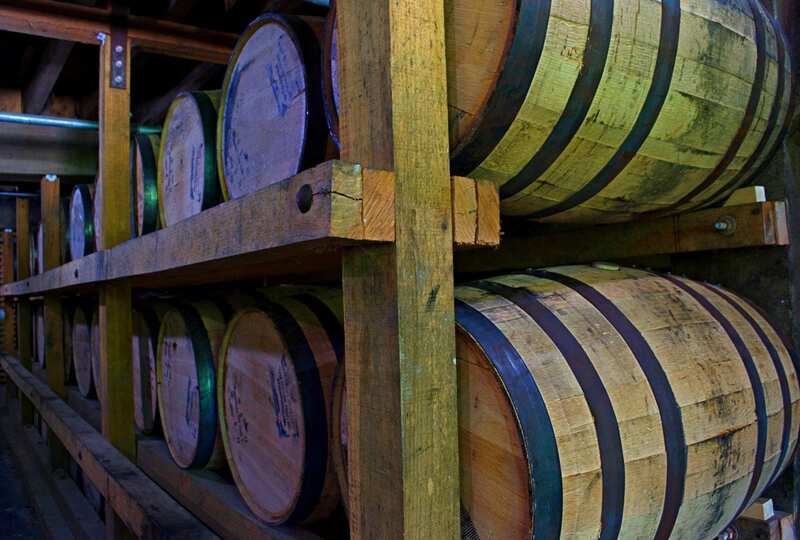 There are rumors of tourists actually tasting the whiskey on the side of the barrels. This may, or may not have involved tongue on oak. The maturation process isn’t for everyone. Maturing whiskey in barrels is more of an art than a science as the placement of each barrel in the house makes a profound effect on the interaction between the whiskey and its barrel. 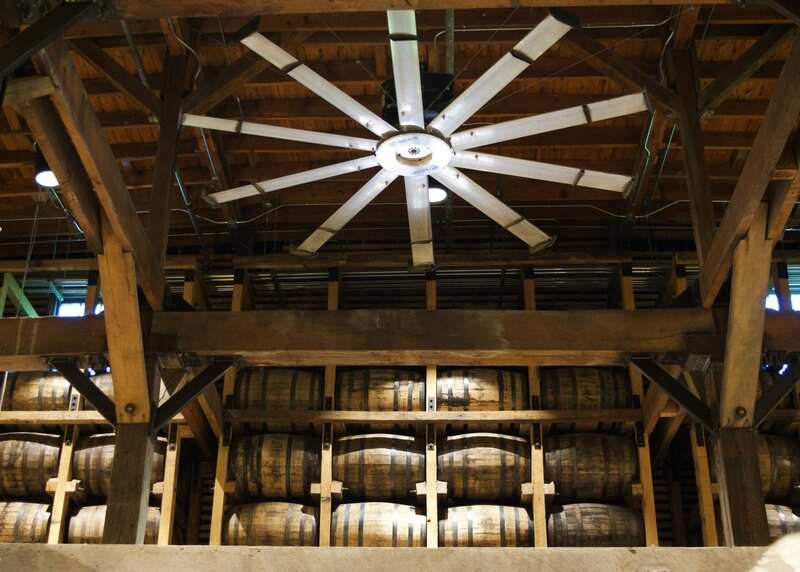 In the hot upper levels of the barrel house, the whiskey matures faster, especially on barrels on the south facing walls. In the cool lower levels, the exact opposite happens. There isn’t a computer or a Ph.D. controlling this process, there is simply refined taste. 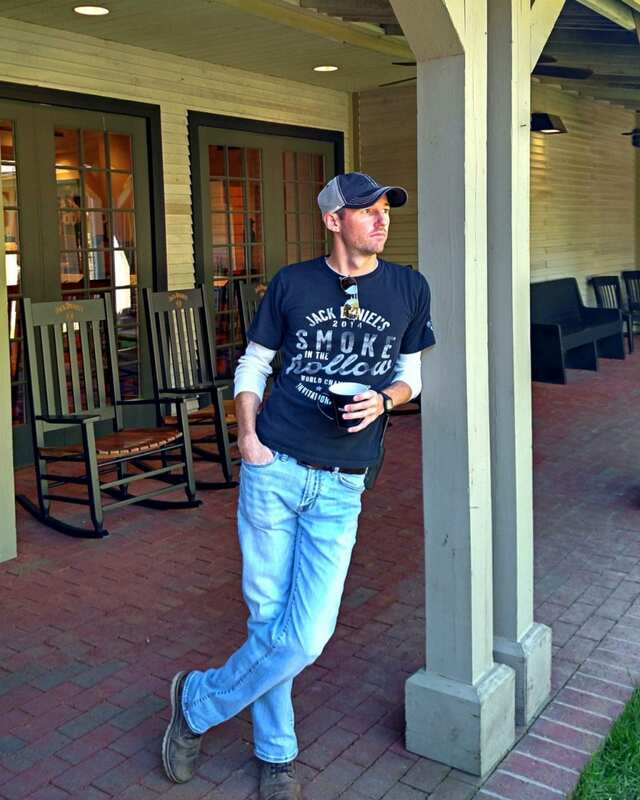 Almost every employee of Jack Daniels has an obligation to taste the whiskey as it ages, to get a rough sense of the progress. Once maturing has occurred, the fine tuning for taste and color comes from the carefully trained tongues of the master distillers themselves. They taste many batches and blend many barrels to create the perfect whiskey. 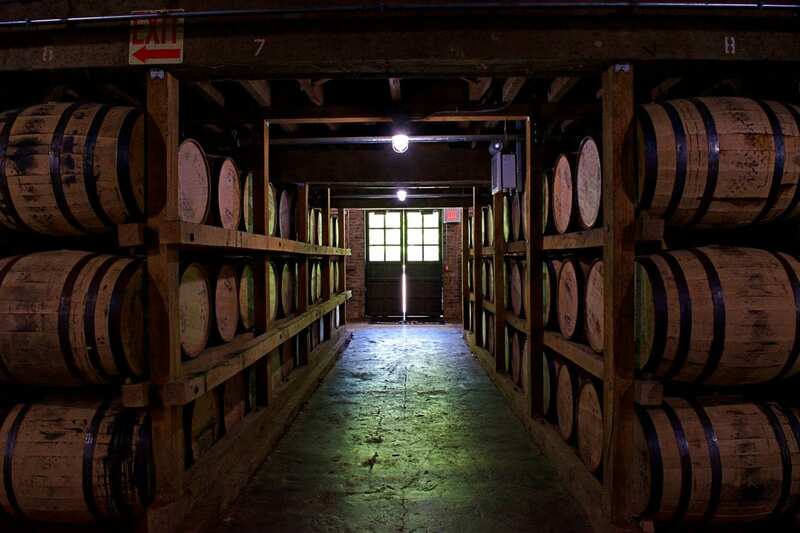 Jack Daniels Black Label is a blend of over 200 barrels of whiskey from different areas of the barrel house. The master distillers blend each barrel in a precise way to create the consistent flavor for the brand. 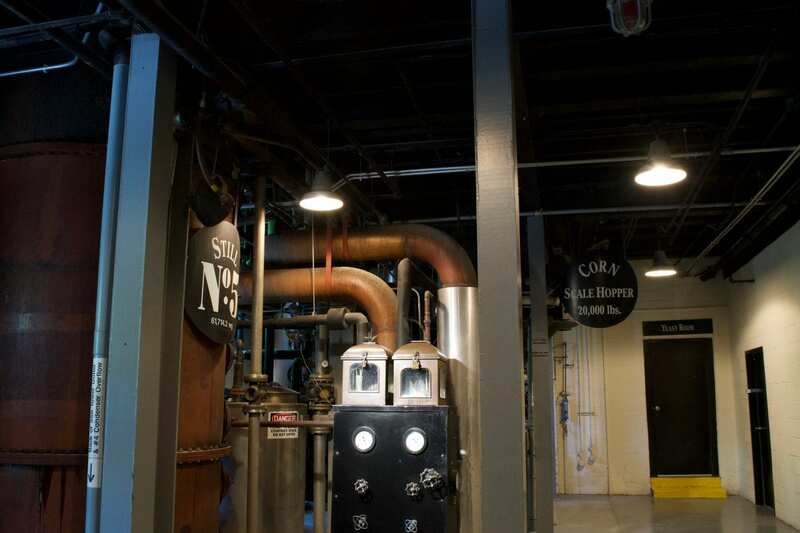 My favorite, Gentleman Jack, comes exclusively from the barrels on the fourth floor or lower. This helps create the drinkability that I desire. For the more ardent whiskey connoisseur, there is the Single Barrel Select. Single Barrel Select, as you might expect from the name, comes from a single barrel. This barrel is always from the top of the barrel house where the angels take more than their fair share and the tannins and oak flavors pass liberally to the whiskey. 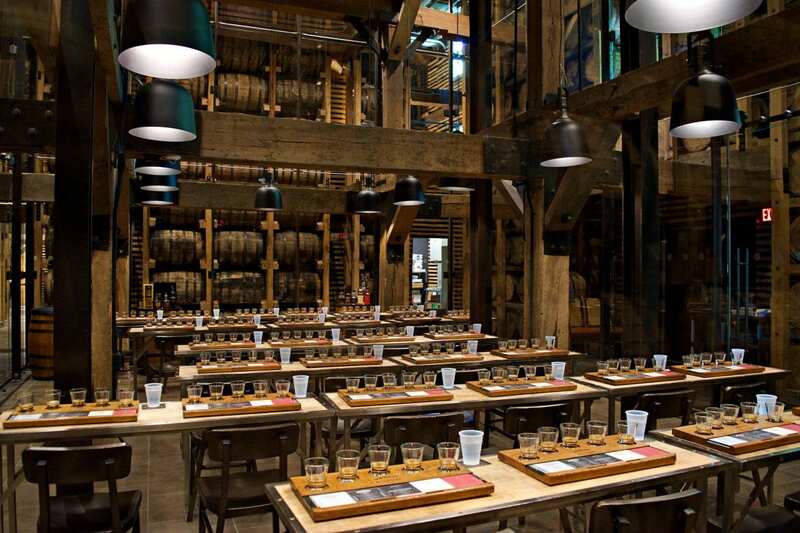 People buy this whiskey one barrel at a time, which equates to about 200 bottles of whiskey. 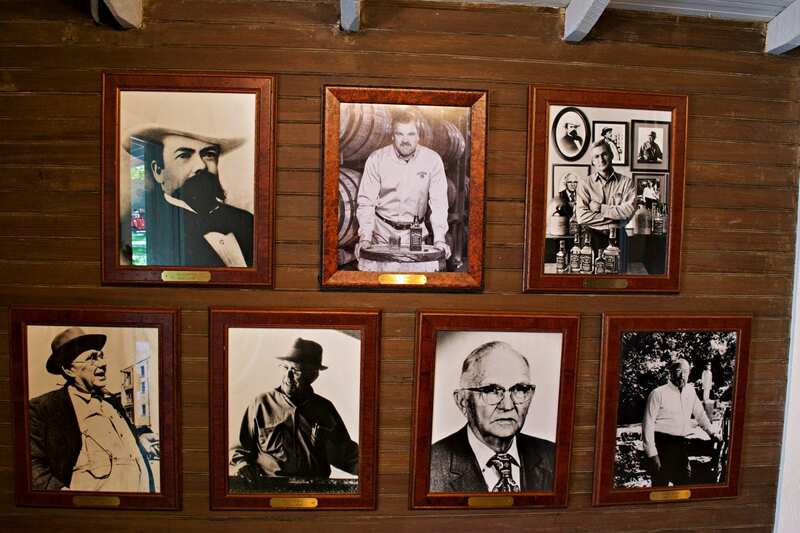 They get their name on a plaque, but more importantly, they have a one of a kind liquor. A lot of military units purchase their Jack one barrel at a time. After learning how about much craft and care goes into making Jack Daniels whiskey, we were excited to finally taste it (other than an unconfirmed lick of a barrel or two). We had a special tasting of Jack available to us with the assistant master distiller, Chris Fletcher, leading our tasting. He explained the three things that make Jack Daniel’s unique. First, he said it was the intensive charcoal mellowing. 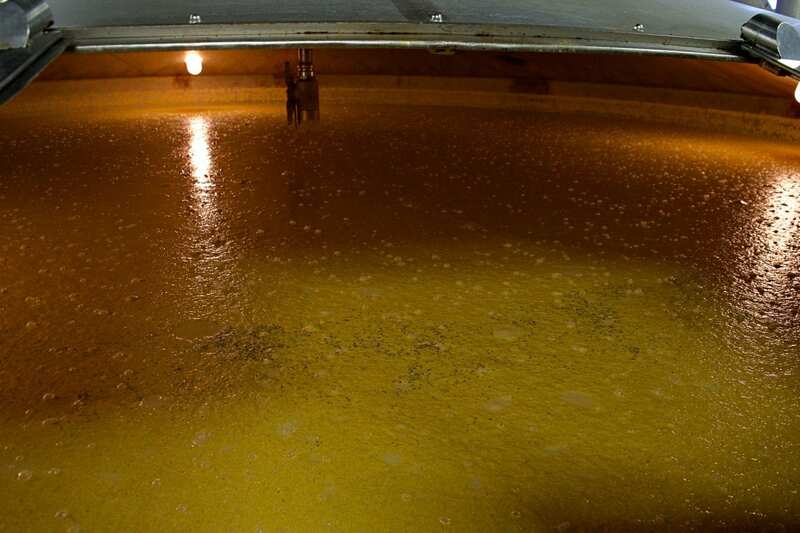 Second, he said it was distillery process, that starts with #1 grade corn mashed with a yeast strain that dates back to the original yeast strain and distilled with copper that strips sulfur out of the grains. The number three element was the barrel that’s used only once and imparts all the color and half the flavor for the whiskey. 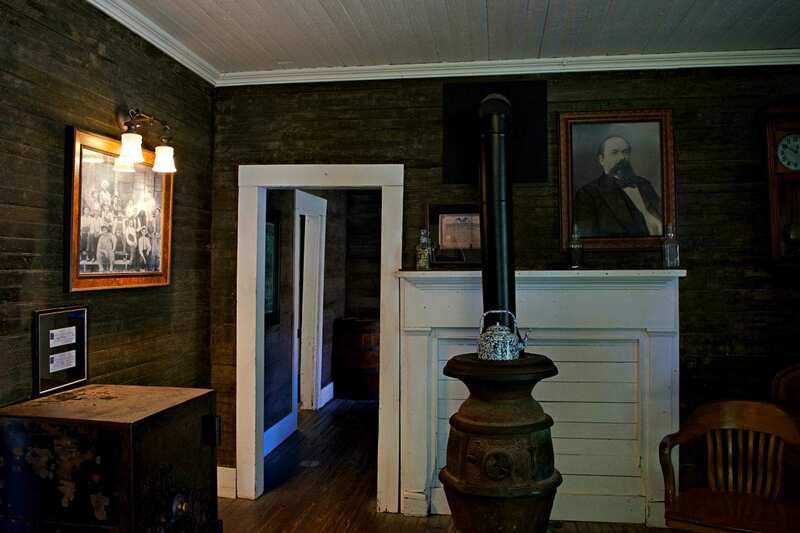 Jack Daniels before mellowing: It wasn’t mellow. It tasted a little like corn flakes and grain alcohol going down. Jack Daniels after mellowing: This wasn’t a bad drink. 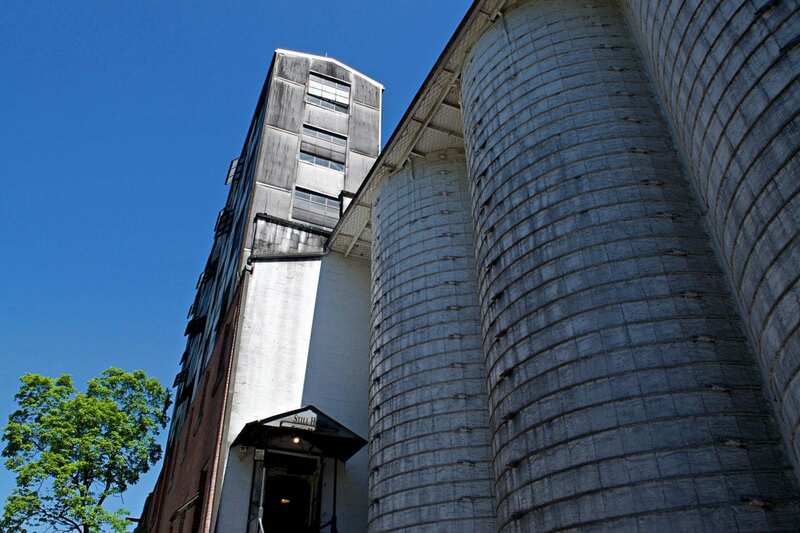 It lacked any character or distinction but the mellowing removed the heavy corn harshness. Gentleman Jack: My go to drink. Choosing the barrels from the lower floors of the barrel house made for a smoother whiskey from the get. Combine this with another 3’ of charcoal mellowing and you have a mighty fine drink. 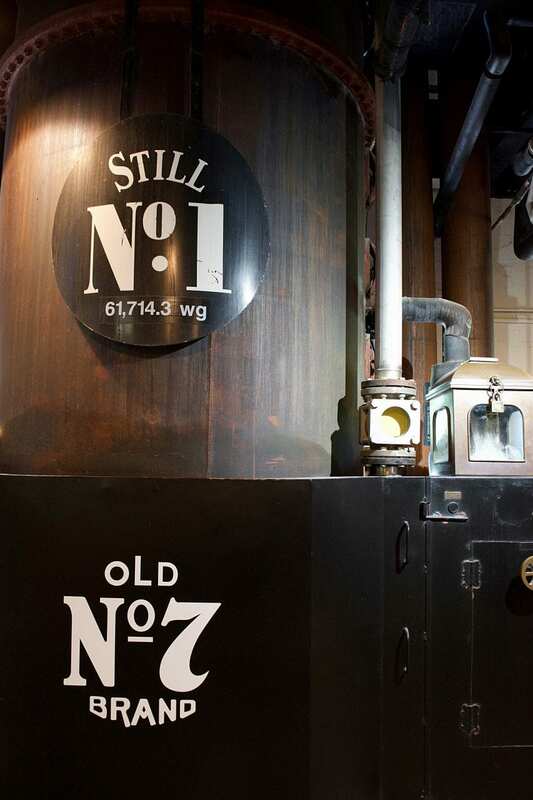 Jack Daniel’s Old No.7: This is the flagship drink of the Jack Daniel’s family of whiskey for good reason. 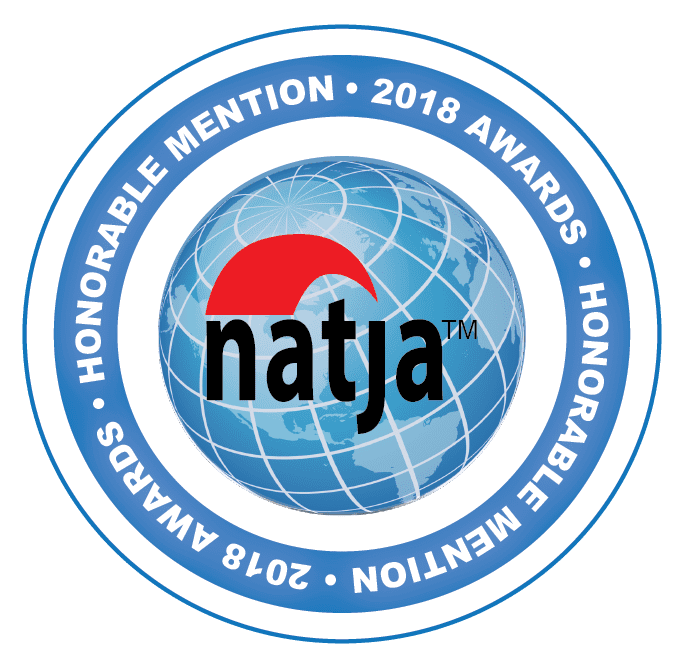 It was a little bolder and more mature than Gentleman Jack. You might question if a barrel licker has the ability to enjoy a drink of this caliber. Jack Daniel’s Single Barrel Select: I would describe this as the next level up from Old No.7. The barrels from the top of the house imparted just that much more flavor and color. It is still a balanced taste from the tip of your tongue to the back of your throat, but definitely bolder. 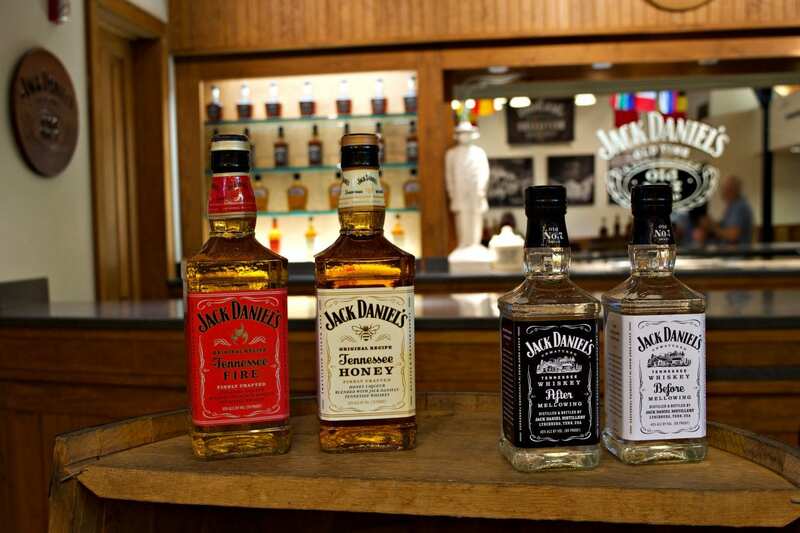 Jack Daniel’s Tennessee Fire: Imagine the honey, but instead they add Red Hots instead. Some people don’t like adding candy to liquor. Some people do. After our tasting, we had a modified Taste of Lynchburg Tour. Miss Mary Bobo’s Boarding House is closed Sundays, but for our special TBEX group of travel bloggers, they arranged a private lunch on the Jack Daniels Patio. It was southern cooking at its best with fried chicken, cornbread, and all the classic southern sides. 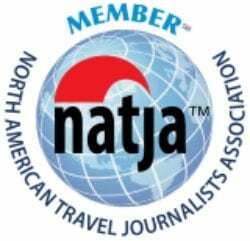 There are five standard Jack Daniels Distillery tours offered, and they primarily differ based on the whiskey tasting at the end. 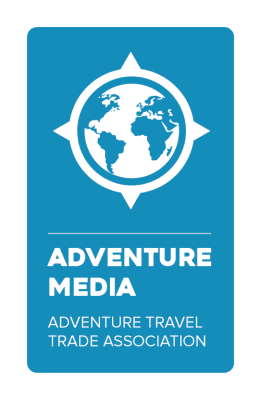 Mr. Jack Toast in the Hollow Tour – $13, 21+ tour: A 30 minute short tour of what we have described so far with a toast of Old No 7 Jack Daniels (black label) in the cave hollow. Dry County Distillery Tour – $14 Adult, $10 teen, 9 and under free: A 1:10 long guided walking tour of everything you have heard about so far. After the barrel house, you are free to explore the White Rabbit Bottle Shop. 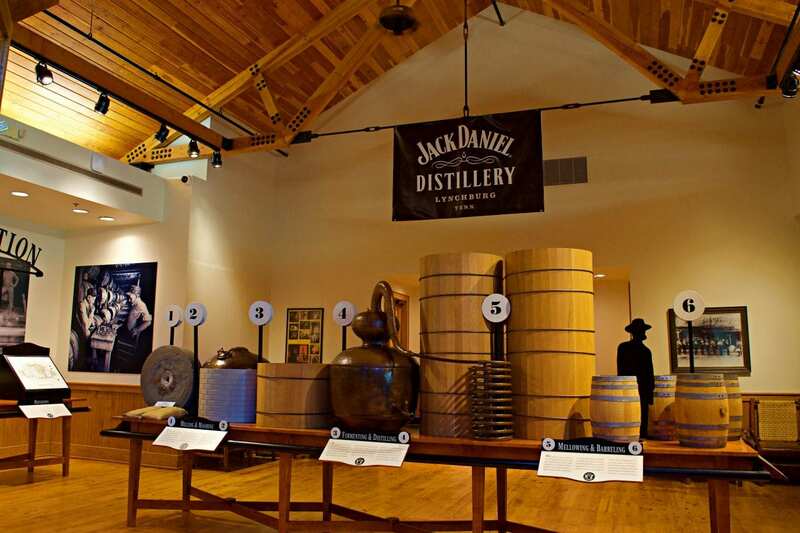 Flight of Jack Distillery Tour – $17, 21+ tour: The same tour as the Dry County Tour with a flight 5 of Jack Daniels tasters at the end. This is the whiskey that you should be able to find at home plus a taste of the single barrel. 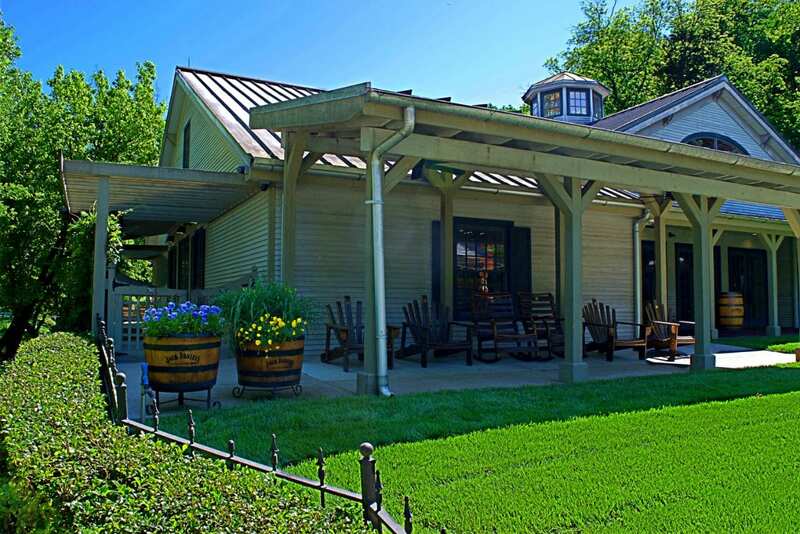 Angel’s Share Tour – $22, 21+: Guided walking tour but you have three tastes of Single Barrel whiskey and one limited edition whiskey. This is the whiskey that you normally can’t buy in a store. 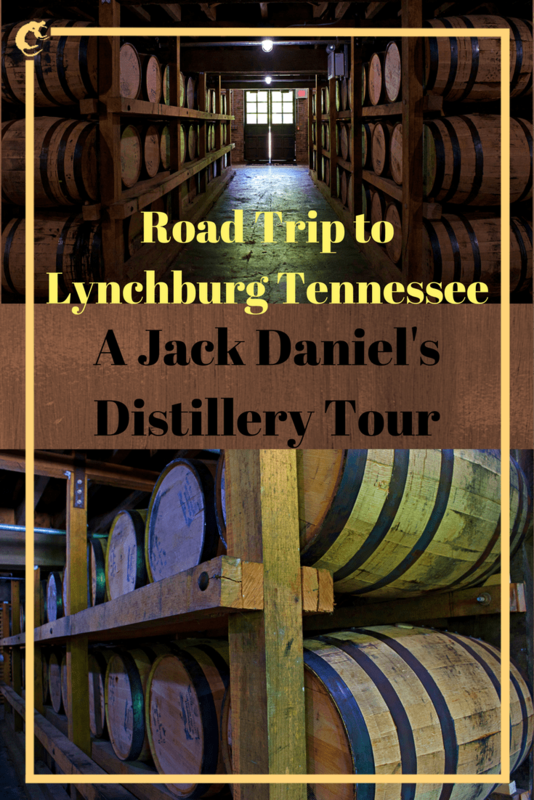 Taste of Lynchburg Tour – $75, 21+: This is the Angel’s Share Tour with a ride into town for Mrs Bobo’s Boarding House lunch. It’s a traditional southern style lunch served in an antebellum mansion. 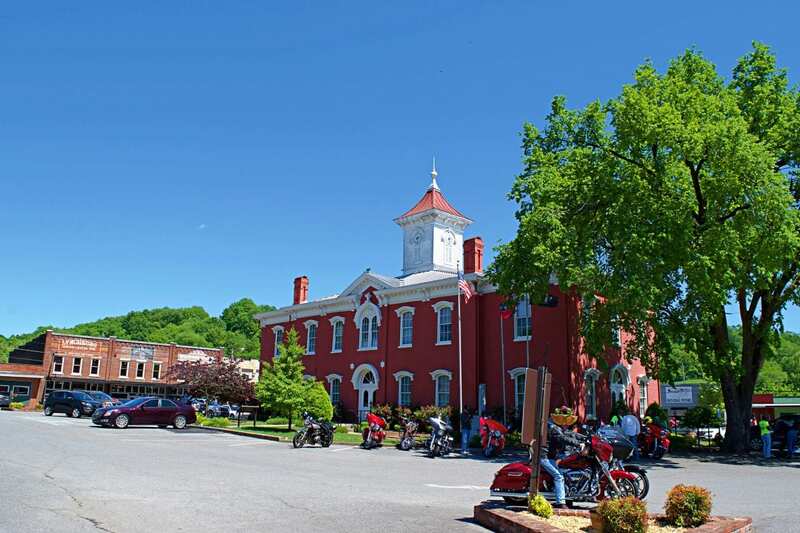 Lynchburg TN is a town that time forgot, and the people like it that way. Main street is filled with tourist shops where the store keepers hang out on their front porch rockers. 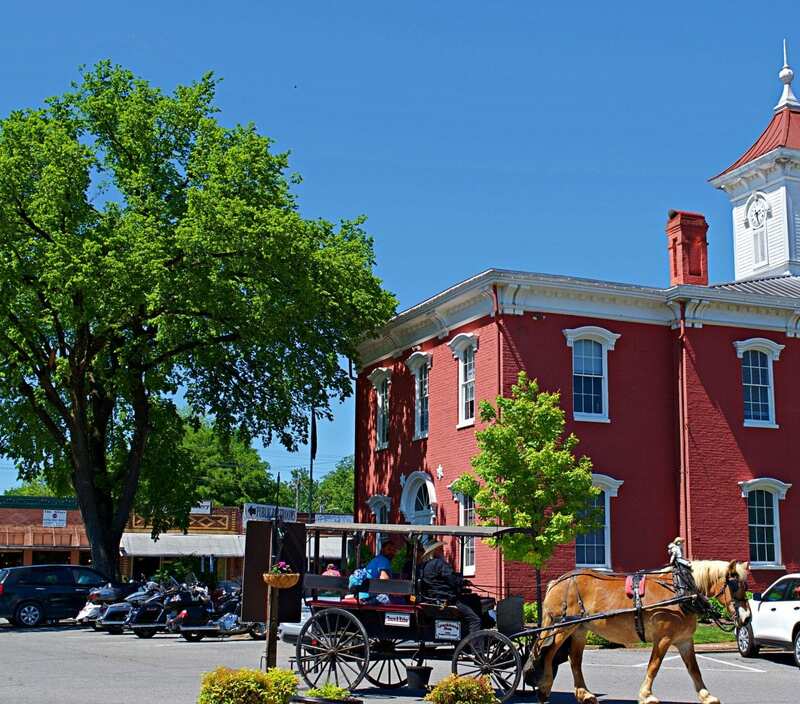 You can stop by the Moon Pie General Store or take a horse drawn carriage tour around the old courthouse. 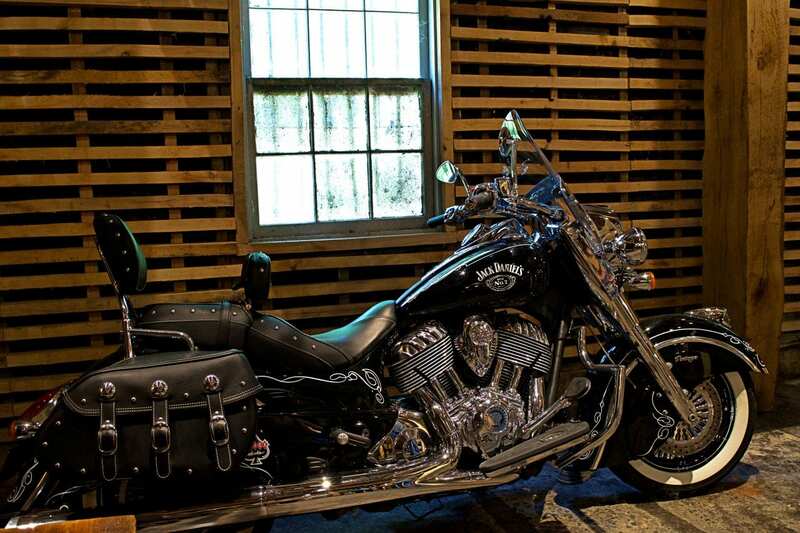 The combination of rolling country roads with a promise of whiskey at the end makes this a perfect destination for motorcycle riders looking for a road trip. Perhaps the highlight of Lynchburg is the Lynchburg Hardware and General Store. 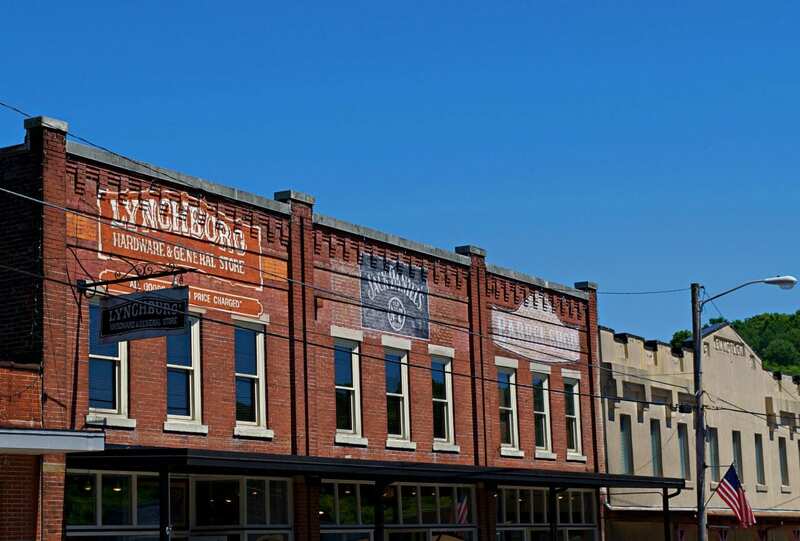 This store has been part of the Jack Daniels Distillery since prohibition. In order to stay afloat when America went dry, Jack expanded into the hardware business. He made enough money to resume distilling after the noble experiment ended in 1933. 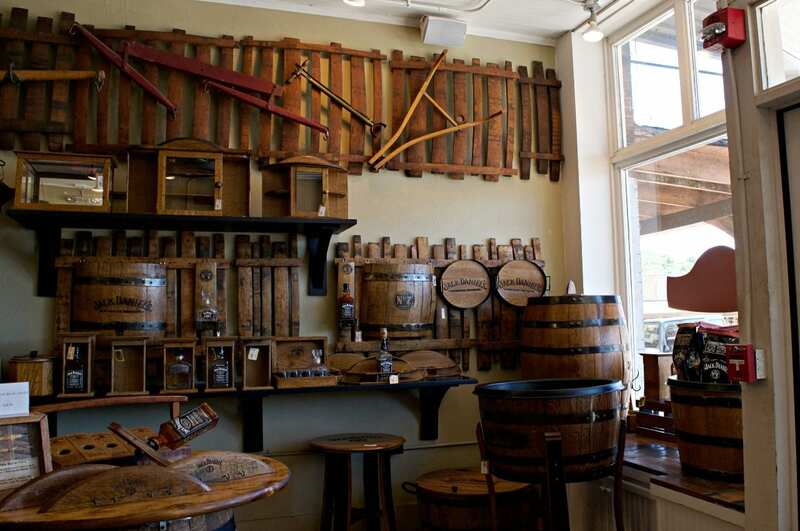 Today, the hardware store is the general gift shop for all things Jack Daniel’s, especially barrel crafts. The White Rabbit Bottle Shop at the distillery specializes in bottles. For everything else, come here. The creativity in marketing will blow you away. 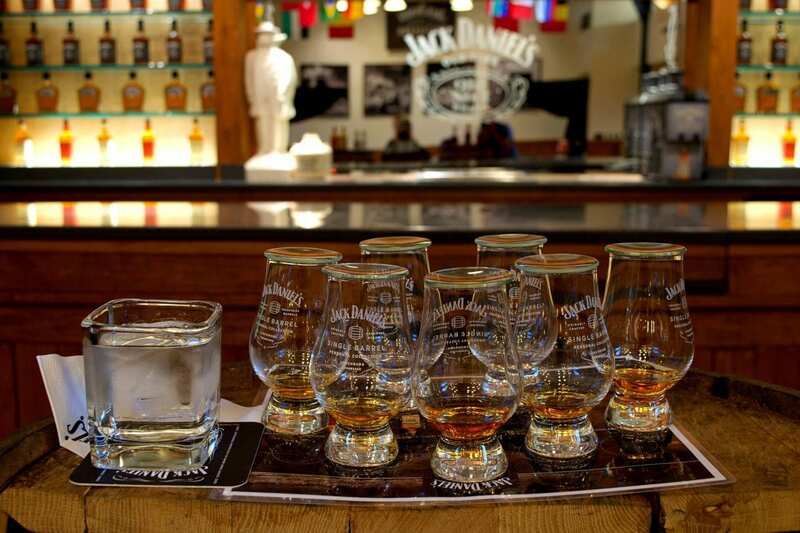 Jack Daniel’s is about an hour road trip from Nashville, Chattanooga, or Huntsville. 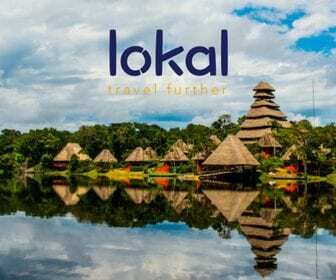 If you’re visiting any of these cities, it’s just a hop and skip down a beautiful country road to get here. 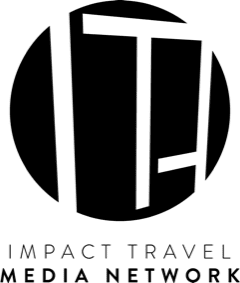 If you’re coming from further away, check out our guide to Chilling in Chattanooga or Heading to Huntsville for more road trip ideas.